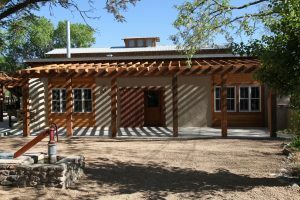 Fort Davis Cow Camp is four blocks behind the Jeff Davis County Courthouse located on a beautifully landscaped one-acre facility near Sleeping Lion Mountain in Fort Davis, Texas. 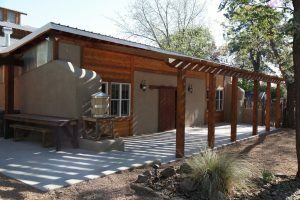 The main house is an adobe structure built in 1892, just 32 years after the U.S. Cavalry post was established nearby. 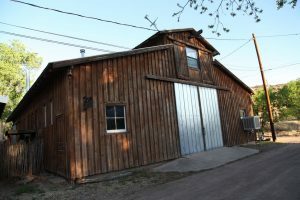 Other historic facilities on the property include a barn, carriage house and blacksmith shop. 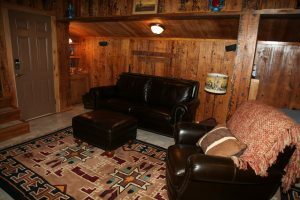 The original carriage house was converted into a guest lodge in the 1990’s. 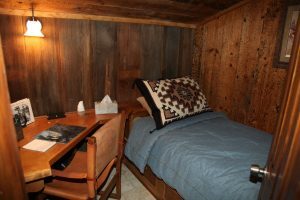 The old blacksmith shop was used as a bunkhouse and office and was built over a century ago. 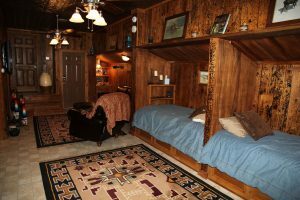 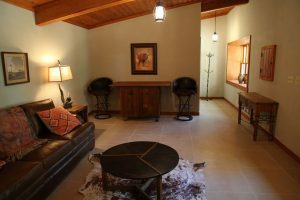 The Bunkhouse and Loft were recently renovated into guest accommodations which are now available to rent. 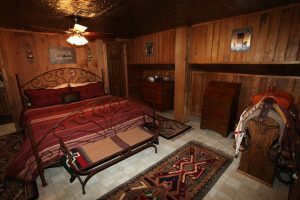 We hope to see you soon at the best stay in the west! 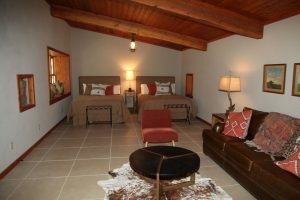 The Bunk house – elegant and rustic studio style perfect for a family of 4. 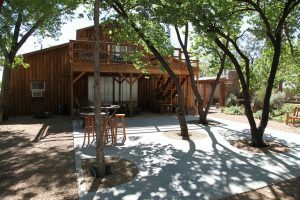 Rent them both for a larger family function and a special rate! 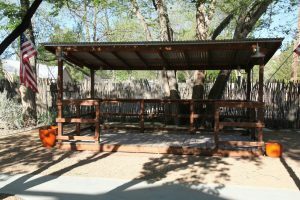 ​​​​​​Fort Davis Cow Camp offers an outdoor kitchen, stage and dance floor, deck with seating, flower gardens, and for the outright lazy… We’ve got a few hammocks.